Come out to the first Capital Rivers District Camporee being held at Poinsett state Park. Join us for what is to be one of the finest Camporees you will attend in 2019. Enjoy the fellowship with other units, make friends and have FUN! 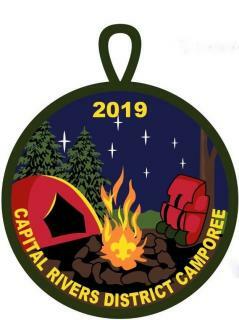 The Capital Rivers District Spring Camporee will be a fun and challenging event for all of us in the "new" Capital Rivers District. We are planning to layout Scout Skill Games that are sure to test your Scout's skills. The Scout Skill Games are organized for patrol-size groups, and we ask all units that register and attend choose to sponsor an event. A list of events with details will be sent to those units prior to the camporee so they may prepare to stage their chosen event at the camporee. Troop 397 is the Host Troop for the camporee, Scoutmaster Jeff Bloom will contact each registered unit and ask which event they wish to sponsor and what is expected. Traditional Scouting Camporee Activities and Events are planned along with some special activities. There will be a Webelos Crossover Ceremony planned and offered to any Cub Pack who may wish to crossover their Arrow of Light Webelos into their Scout unit attending the camporee. Muscogee Lodge Order of the Arrow will also do a "Call-Out" for any Ordeal candidates at the camporee. A Camporee Leaders Guide will be sent to all units who register online for the Capital Rivers District Spring Camporeee. All camporee details will be published in the Leaders Guide. "We Hope To See You At The Camporee"